So, microblogging eh? What is it all about? To be honest with you, I haven’t got a clue. In the past I’ve been quite vocal about the pointlessness of Twitter, but something strange must have come over me today because I’ve joined the microblogging revolution. Before you start deleting my RSS feed and cursing me for being a hypocrite, I haven’t joined Twitter… mainly because I think it’s got a bloody daft name. Instead I’ve joined Jaiku, which of course is a much more sensible name… (at least it doesn’t mean something rude). 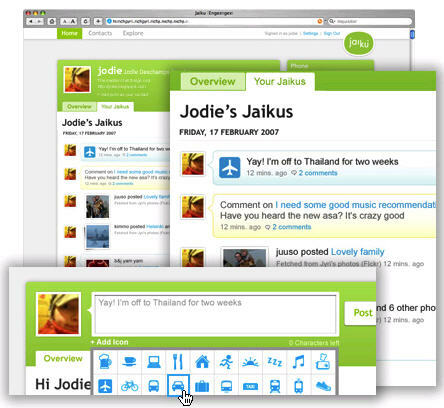 Aside from the cool name, I was attracted to Jaiku because I’m a bit of a Google fan (Google acquired Jaiku a couple of months ago) plus I was interested in playing around with the mobile phone app (which I’ve subsequently found is blocked by my phone provider). The long and short of all this is that I now have a Jaiku stream. Why not check it out or even subscribe to it? You’ll be able to find out fascinating up to the minute information about me, such as the fact I am home alone with the dog, and it is raining outside, and how joyous I am at the way Manchester United are playing at the moment. Well, maybe all that isn’t quite so fascinating, that’s up to you to decide. I’m just fascinated in why people do this? Is microblogging just a tech toy for the geeks and nerds that are just too nerdy for good old fashioned blogging? Or is there something more to it? A lot of high profile bloggers who have their heads screwed on a lot tighter than I do are leveraging some good use out of microblogging. The likes of Chris Garrett, Darren Rowse, and Ben Yoskovitz are all using services such as Twitter, Jaiku and Pownce to generate traffic and network. 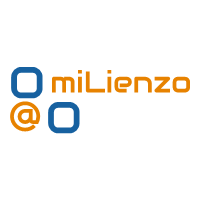 I’m sceptical whether I’ll still be using Jaiku six months from now, but then I was also sceptical I’d still be writing miLienzo.com after all this time and here I am. « What do you make of this PageRank hullabaloo?